Courtesy of Liberty Real Estate, LLC..
Gorgeously remodeled waterfront home on a private quiet cul-de-sac full of nature x2019;s surroundings. Features walk-out basement, main level Master Bedroom with a water view you would enjoy waking up to every day. Breathtaking master bath and open floor plan on main. 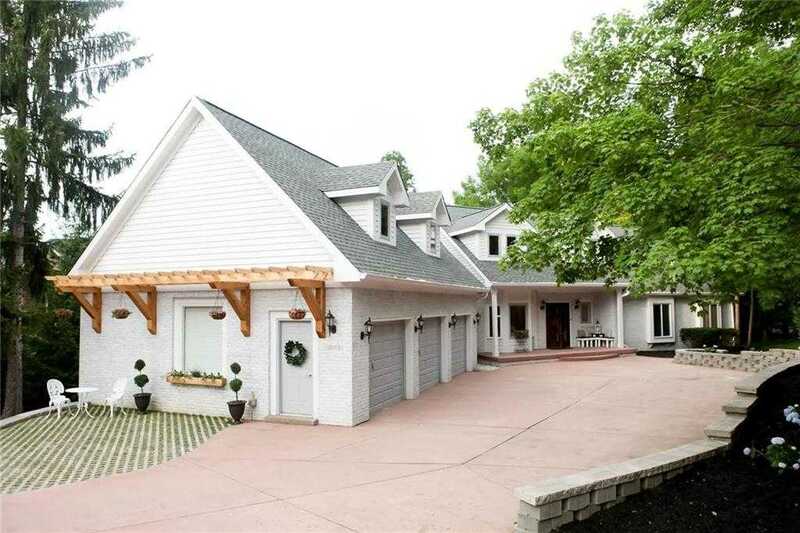 Two story great room w/ floor to ceiling beautiful brick fireplace with full views of Geist. Library/home office loft offers a balcony view of the Great Room and Kitchen. Lower Level theater room, fireplace, billiards, an exercise room with a full bath, large wet bar, a private cozy cigar/wine cellar and a game/entertainment room. Top floor includes room for an in-law suite. Walk outside your back door and right onto your boat with a spectacular view of the July 4th fireworks. Please, send me more information on this property: MLS# 21595723 – $1,134,999 – 12163 Pearl Bay Ridge, Indianapolis, IN 46236. I would like to schedule a private showing for this property: MLS# 21595723 – $1,134,999 – 12163 Pearl Bay Ridge, Indianapolis, IN 46236.